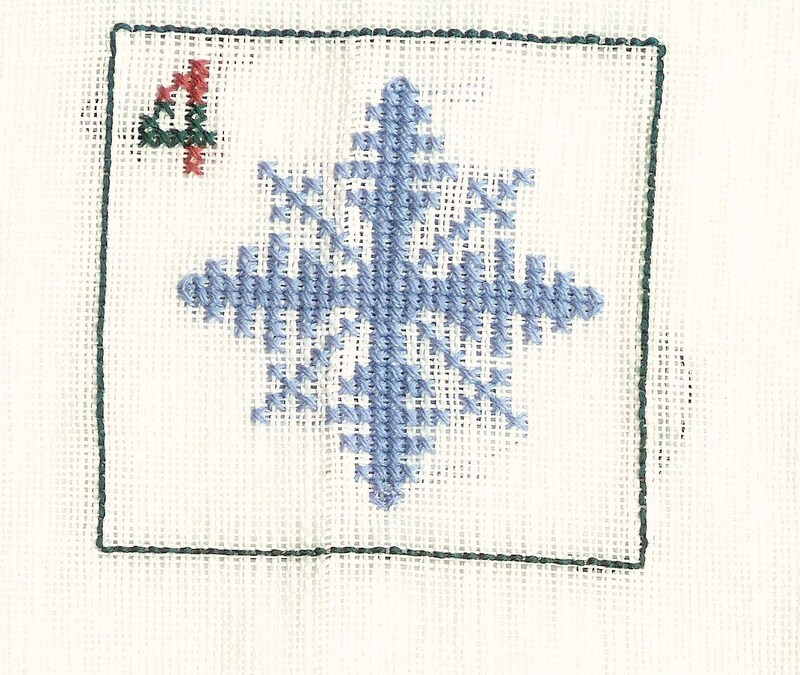 Day 4 – a snowflake. This was a quick, one evening stitch. A good thing, too, because some of the others had taken a lot of effort to push through and get done. Husband leaves tomorrow to go back to Seattle to work. We’ll miss him again, of course, and we’re trying not to get our hopes up too high for this job. He has a lot of reasons to be hopeful, but we just don’t know until the employment agreement is signed, kwim? I’m glad I’ve given myself enough projects to keep my mind busy!